If you are looking for an Executive Coach this site is designed to help you decide whether Roger is the right coach to work with you. He has have made this web site as straightforward and easily understood as possible without much of the jargon that often surrounds business and executive coaching. 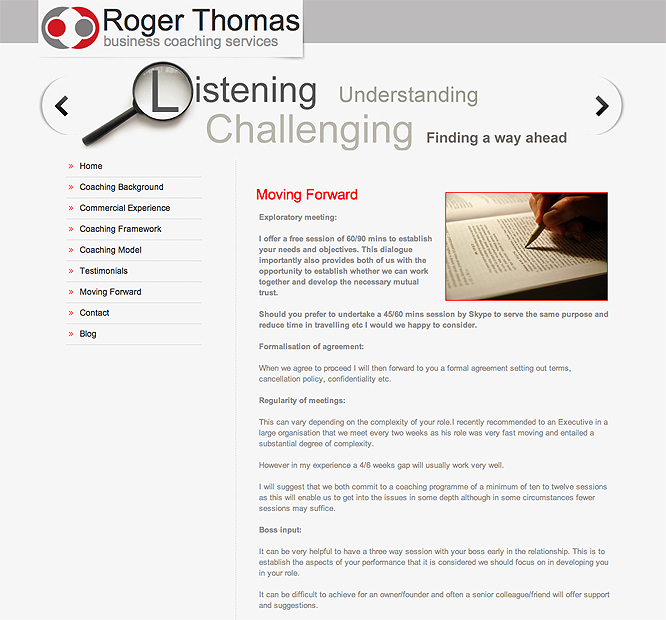 So the site pages include an outline of how his business coaching programme can help you achieve more in your work and a description of how Roger can work with clients to get there.